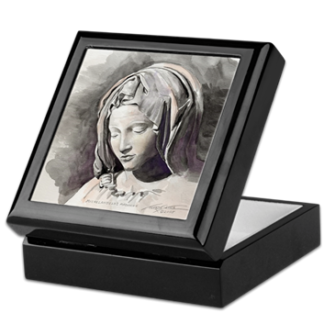 A Satola original features the finest art materials available today. Teresa’s exceptional oil paintings utilize only Belgian portrait linen for its heirloom value and extended life. Many of Teresa’s clients plan on commissioning an heirloom for future generations to enjoy, and they appreciate her expertise in being forthright about using the finest materials. The best portrait artists will share these small but significant details with heir clients. This is but one of the reasons why savvy clients insist on a Satola original. Your portrait deserves the brightest and most permanent overall colors. For this reason, Teresa uses only the finest paints available with the Maroger medium. This rare and costly medium gives your subjects an “inner glow: as is seen in the works of the Old Masters such as DaVinci, Titian, Elgreco, Vemeer and others. The rich, vibrant colors of your most cherished classic artists began with an Old Master’s techniques called an “underpainting”, or umber drawing.” Using Maroger medium, this time-consuming, raely seen foundational step is still used today in Satola originals. This lays the groundwork for producing the same brilliant timeless colors your portrait demands. Teresa is known for her ability to guide her clients through the process of commissioning a piece of art. If you’re not comfortable with how the process works, you’re not alone. Teresa has seen this time and time again, but her patient style and ongoing dialogue throughout the entire process makes for a very enjoyable experience. Creating artwork for St. Joseph's Catholic Church in Sugargrove, OH in 2014. Creating artwork for St. Pope John XXIII in Canal Winchester, OH. Creating the artwork for the new Luminous Mystery banners for Our Lady of the Assumption in Lancaster, OH. Creating Our Lady of Guadalupe for Sts. Simon and Jude Catholic Church in West Jefferson, OH. Collaboration with world renowned doll and teddy bear artist Linda Henry Boving in creating some costume designs for Linda’s creations for Knickerbocker and Disney (and Annette Funicello). Costumer for Twelfth Night with Leonard Nimoy at the Pittsburgh Public Theatre. 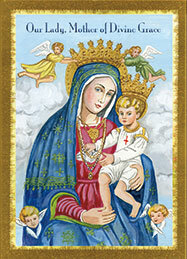 Teaches iconography classes at Our Lady of the Mountains in Jasper, GA. Taught classes at Catonsville Community College, University of Maryland and Western Maryland College.